The airfield Stadtlohn-Vreden is located in the north of North Rhine-Westphalie and at the border to the Netherlands. So it is almost in the middle of Europe. 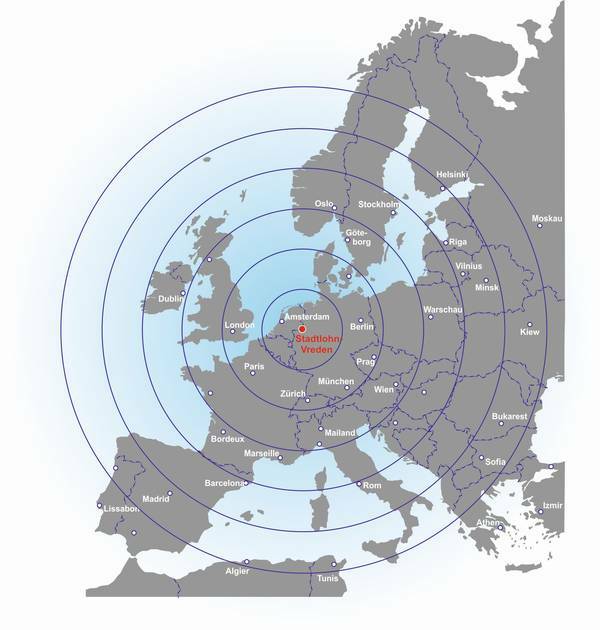 From our airfield you can reach different cities all over Europe. The Citation Jets have got the broadest reach. They are also positioned at our airfield. 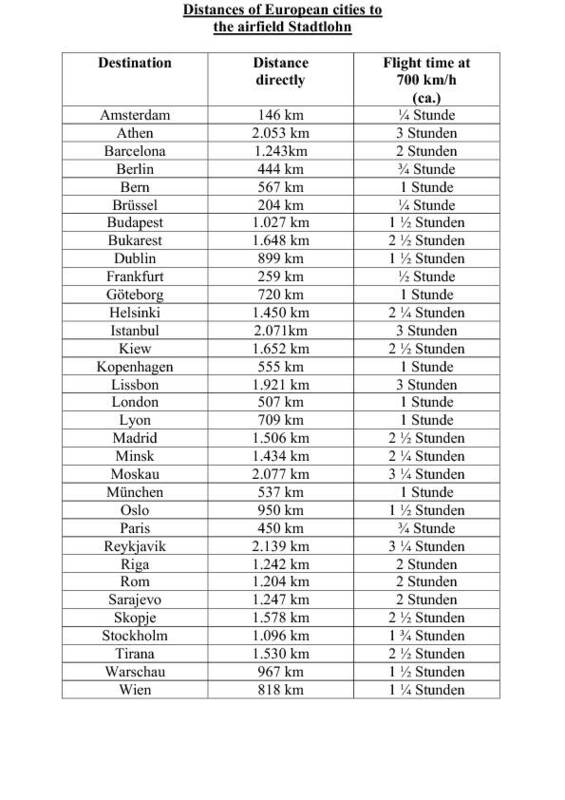 On the following map you can see the distance of different cities in Europe to the airfield Stadtlohn-Vreden. Every red circle is an extra half an hour distance. The exact distance (in km) you can see in the table below.